I don't remember Israel IDF spokesperson ever going with a statement like this, it's usually after a couple of hours of operation, this time - Israel first declares then acts. 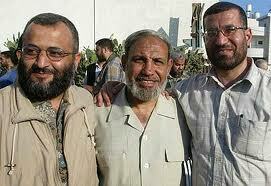 In the past hour, the IDF targeted Ahmed Jabri, the head of Hamas’ military wing, in the Gaza Strip. Jabri was a senior Hamas operative who served in the upper echelon of the Hamas’ command and was directly responsible for executing terror attacks against the State of Israel in the past number of years. The purpose of this operation was to severely impair the command and control chain of the Hamas leadership, as well as its terrorist infrastructure. This was a surgical operation in cooperation with the Israeli Security Agency, that was implemented on the basis of concrete intelligence and using advanced capabilities.